Take advantage of recreation opportunities such as an outdoor pool or take in the view from a terrace and a garden. This residence also features complimentary wireless Internet access, babysitting/childcare (surcharge), and tour/ticket assistance. Guests can get around on the shuttle (surcharge), which operates within 500 meters. Make yourself at home in one of the 50 individually decorated guestrooms, featuring minibars and LCD televisions. Your memory foam bed comes with premium bedding. Rooms have private balconies or patios. Complimentary wireless Internet access keeps you connected, and satellite programming is available for your entertainment. Private bathrooms with showers feature complimentary toiletries and bidets. 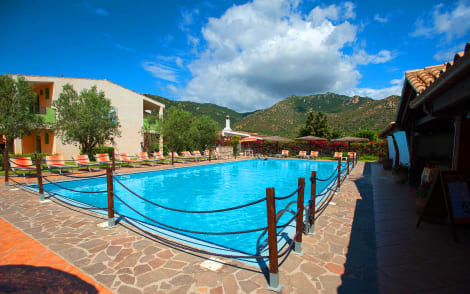 Swimming, golfing, sightseeing - whatever brought you to the 5-star Pullman Timi Ama Sardegna, you're in the right place. Rooms bathed in Mediterranean light overlook the bay or hotel grounds. White-sand beaches are just outside. Further away but still wi thin easy reach you'll find wineries, archeological sites, and lots of unspoiled nature. Spend the day on the private beach or dip into one of the 2 outdoor swimming pools. This hotel also features wireless Internet access (surcharge), concierge services, and babysitting/childcare (surcharge). Getting to nearby attractions is a breeze with the area shuttle (surcharge). Enjoy local cuisine at SU PORCEDDU, one of the hotel's many dining establishments, which include 2 restaurants and a coffee shop/café. Mingle with other guests at the complimentary reception, held daily. Quench your thirst with your favorite drink at the beach bar. A complimentary buffet breakfast is served daily from 8 AM to 10 AM. Make yourself at home in one of the 32 air-conditioned rooms featuring kitchenettes with refrigerators and stovetops. Your pillowtop bed comes with Frette Italian sheets. 20-inch flat-screen televisions are provided, with digital programming available. Conveniences include phones, as well as safes and desks. The 4-star Le Zagare Hotel Club sits to the west of Villasimius and a short drive or shuttle bus ride from the beautiful Campus Beach. 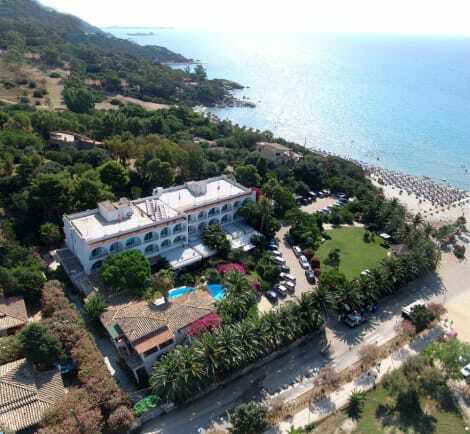 The on-site Mediterranean-style restaurant offers buffet breakfasts and lunches and an a la carte service for dinner, while the open-air pool is surrounded by olive trees, and the hotel has its own stretch of private beach with a bar. Each room is air conditioned and has an LCD TV, balcony or patio, hairdryer and private bathroom. When you stay at Residence S'Incantu in Villasimius, you'll be near the beach, within a 5-minute drive of Campulongu Beach and Stagno Notteri. This residence is 1.1 mi (1.8 km) from Notteri Beach and 1.1 mi (1.8 km) from Simius Beach. 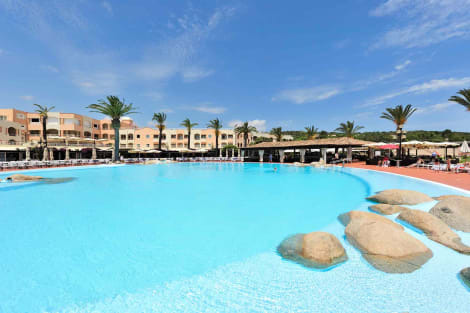 lastminute.com has a fantastic range of hotels in Villasimius, with everything from cheap hotels to luxurious five star accommodation available. We like to live up to our last minute name so remember you can book any one of our excellent Villasimius hotels up until midnight and stay the same night.